Has your PC Slowed Down due to Malware or Viruses? We can help! We have services available around the clock. Get help with your iPhone, iPad, Samsung Galaxy and more. What are you waiting for? Contact us for help today! Have any computer issues and live in Orange County? We can come to you! Our technicians have been in the industry, doing this type of work for over 20 years. We know computers and all computer related issues because we have dealt with them before. Find out more and contact us today! 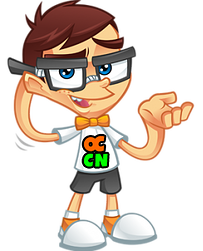 Orange County Computer Nerds is your #1 source for Orange County Computer Repair services across Orange County, CA. We provide the best in Computer Repair:Windows 98, 2000, ME, XP, Vista, 7, 8, 8.1, 10, Virus, Spyware, Malware, Root Kit Removal, System Tune-up and more standard computer repair services. Other services include: New System Setup Data Backup, Recovery, Migration Computer Upgrades: Software and Hardware Windows Re-installs Wireless Router Setup: Cable, DSL, T1, Broadband Services Email Setup: Outlook, Outlook Express, and others General Technical Support & More. These are just our standard backup/restore and maintenance options. Many more are available by request! We also provide many networking setup and configuration options! Wireless or Hardware network installation Internet, Network Security Setup, Network Printer, Scanner Setup, Remote Access, VPN (Virtual Private Network) setup, Software Networking (Quickbooks, Act!, etc…), On-Site Computer Repair Services, Virus, Spyware, Clean-Up, Regular Monthly Service, Computer Networking Setup and Repair, Server Setup and more. These again are only a standard list of options. Please send us a quick message to inquire on other services if one you are requesting is not listed. On our business computer support services side we provide: Business Consulting (IT Solutions), Computer Internet Content Control, Computer Training (Private/Group), Backup Solutions, Web Services: Website Design (Flash HTML), Online Marketing (SEO) Website Hosting, E-mail Solutions, Blog Setup, Home IT Services, Computer Repair, Virus Removal, 24/7/365 Computer Support, Server & Firewall Support, Software Installation & Troubleshooting, Email Configuration & Troubleshooting, and Printer Support. This is only a snippet of the many various services Orange County Computer Nerds has to offer! Please use the Quick Contact Form below to get in touch with us and inquire on how an Orange County Computer Repair specialist can assist you today!